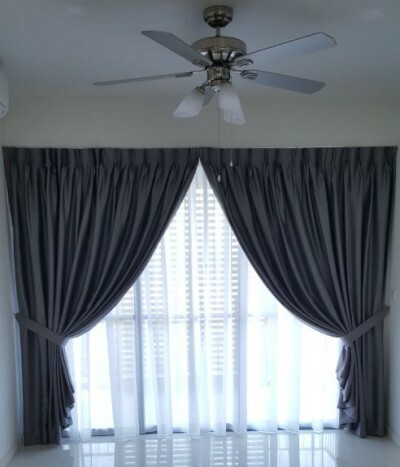 Furnished day and night curtains and roller blinds for a friend’s parent for rental of Q-Bay condo of 2+1 Units. Grey-ish tone was introduced as the all time favourite colour, especially when renting out the unit. Material chosen will not get so dirty easily while the texture gives off a luxurious and cozy feel for the home.